Devoted Johnny Winter fans are still mourning the passing of the Texas guitar legend, who died last Wednesday (July 16) at the age of 70. They’ve no doubt been playing the hell out of his vast array of awesome albums, or reminiscing about the times they saw him tear things up in concert. But now that the shock and sadness surrounding Winter’s death is starting to fade a bit, it’s being replaced by feelings of outrage at the understanding that Johnny Winter has never been inducted into the Rock and Roll Hall of Fame. He hasn’t even been nominated! Can you freakin’ believe that? It should come as no surprise, I suppose, since the Rock Hall is notorious for ignoring deserving artists who’ve been eligible for their hallowed hallways for decades. Remember the furor regarding the Rock Hall’s denial of the almighty Rush, who didn’t get in until last year? And the way they “blackballed” shock-rock king Alice Cooper for 15 years, even though his impact on rock and roll is undeniable. 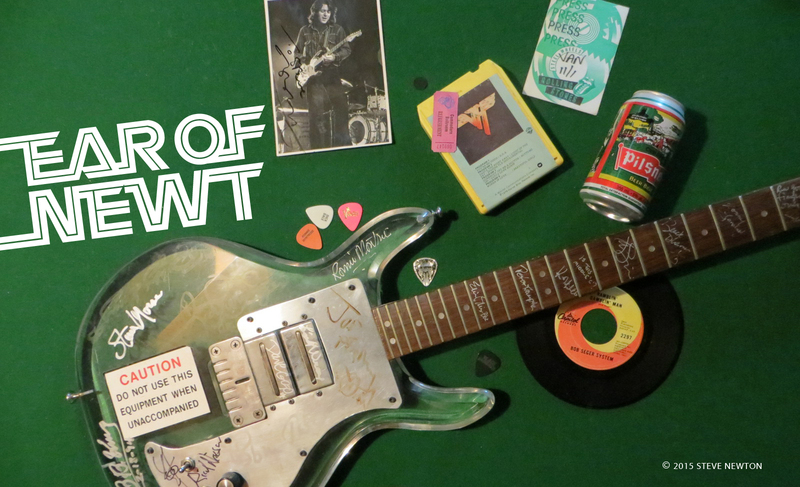 Just this year the Hall had the audacity to leave Link Wray, the inventor of the raunchy riff, out in the cold, choosing instead the likes of pop-radio faves Hall & Oates and Cat Stevens. THAT is what the words “rock and roll” mean–to me, anyway. And I don’t think I’m alone in that assessment. 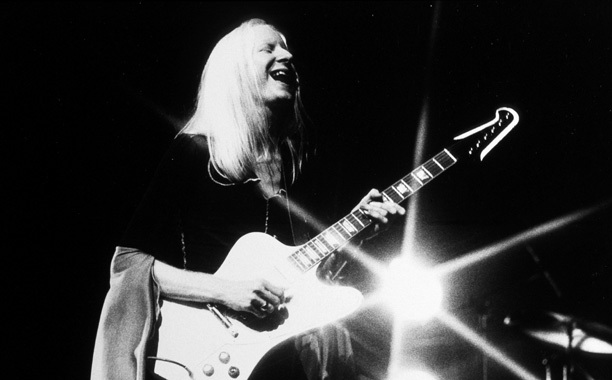 Johnny Winter has been eligible for induction into the Rock and Roll Hall of Fame for over 20 years. What the hell are they waiting for? I realize that he’s not as well known as the Trio of Living Rock Guitar Heroes–Jeff Beck, Jimmy Page, and Eric Clapton–but all three of them have already been inducted, at least twice. Maybe the Rock Hall would argue: “Well hell, Newt, we can’t induct everybody! There isn’t room!” If that’s the case, then here’s an idea. You know how KISS was whining for years about not being in the Hall, and then when it finally got in this year, it continued complaining? I say toss ’em out and make room for Winter. He’s got more talent in his left baby-toenail than Gene Simmons has in his entire tongue! Or better yet: give the boot to Rock Hall director Jann Wenner, who got himself inducted for “Lifetime Achievement” back in 2004. Am I supposed to believe that his “achievements” in rock and roll are more worthy than Johnny Winter’s? I hereby demand the immediate nomination of John Dawson Winter III for induction into the Rock and Roll Hall of Fame, class of 2015. It is unbelievable that arguably the best blues guitar player of all time is not already in the Rock and Roll Hall of Fame. I felt that surely this error would be corrected posthumously. Please consider his contribution to the Blues/Rock music genre. Johnny winter is the reason I’ve never been to the so called ” rock and roll hall of fame ” I live but 25 miles from it and will never go until he is inducted. I saw johnny at public hall in cleveland in 1973 at the height of his rock and roll fame and he yelled those 3 words to start the show, if he isn’t deserving of hall of fame status, nobody is!!! I say throw our Run,DMC whatever they have to do with rock and roll and make room for JOHNNY!!!! I saw Johnny twice in Paradiso in Amsterdam. The first show he played the most beautiful classic blues songs, the way only he could. When he played Red House he was out of controle, I couldn’t believe my eyes and ears, a true tribute to Jimi Hendrix. Johnny had the talent to play a song with a special Johnny Winter twist. His version of Red House was different, melodic, beautifull chords, just stunning. Before I had heard of Jimi Hendrix I already was a Johnny Winter fan in 1974. Still alive and Well my favorite Album, so pure. I never understand why Stevie Ray Vaughn got so much attention. Johnny means so much more to me. Johnny deserves a prominent place in any music Hall of Fame next to Jimi Hendrix.